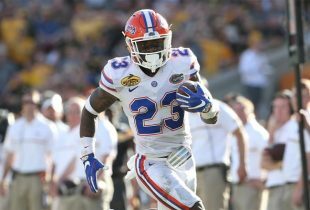 The 2019 Orange & Blue Debut spring game returns for Florida Gators football, and just as it was last year, it will be held in its traditional spot on a Saturday afternoon. 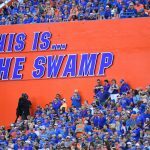 Florida on Tuesday announced that its 2019 spring football game will be held on Saturday, April 13. The Gators have not yet announced a kickoff time for the game, likely due to ESPN and its associated networks still scheduling the times in which it will air these games. No additional details have been provided for the event at this time. The 2018 spring game marked the first time since 2015 that the Orange & Blue Debut was held on a Saturday. The Orange & Blue Debut coincides with a three-game homestand for Florida baseball, which will host South Carolina that weekend. There is also a lacrosse match against East Carolina that Saturday, though softball will be out of town playing at Texas A&M. And for those who are huge golf fans, the Gators’ spring game does fall on the third day of the 2019 Masters. How and when can we get tickets? Called this morning admission is free just first come first serve for seats hope this helps. When will the game time be announced? Can you bring in coolers? And what about wheelchair Residents will there be a place for them? No coolers. Yes, there is capable seating. Are we able to bring our own drinks and sandwiches?